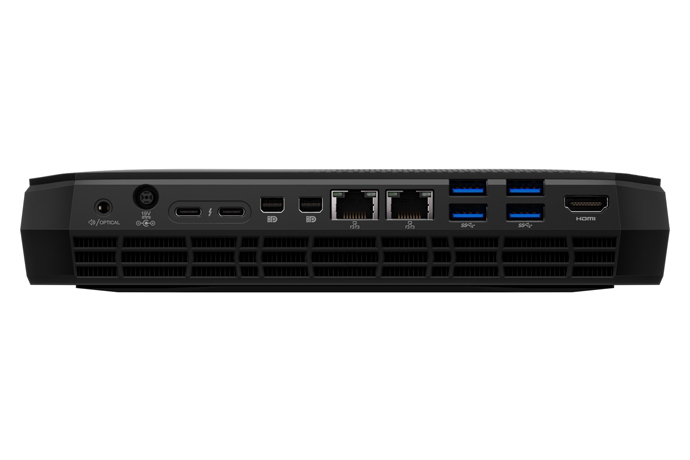 Today, Intel launched the latest and most powerful Intel® NUC to date, based on the newly announced 8th Gen Intel® Core™ i7 processor with Radeon™ RX Vega M graphics. 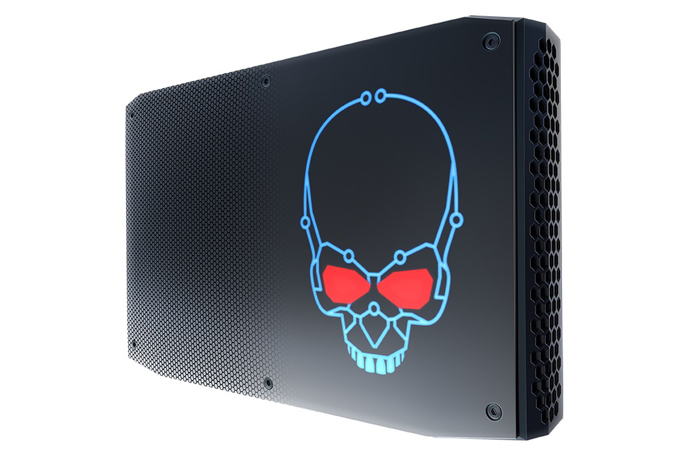 The new Intel NUC (formerly code-named Hades Canyon) brings this powerful new processor and graphics solution into an incredibly tiny 1.20-liter system. Great for VR enthusiasts and workload-heavy content creators, it will be Intel’s smallest premium VR-capable system in the market. 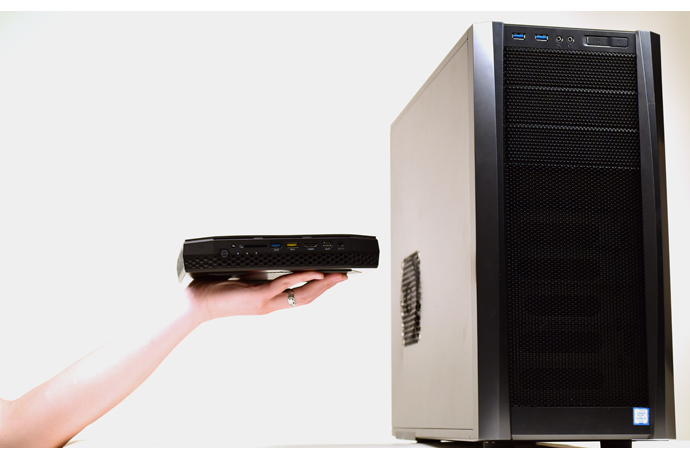 The new NUC will come in two versions: NUC8i7HVK and NUC8i7HNK. 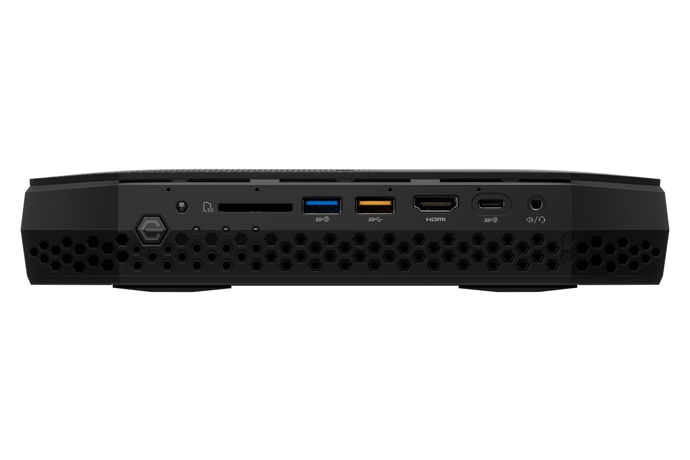 The NUC8i7HVK is based on the unlocked version of the new 8th Gen Intel Core processor with the Radeon RX Vega M GH graphics, giving overclockers1 the ability to take the system to higher levels. To support all of this great processing and graphics horsepower, both NUCs offer the ultimate in connectivity, including dual Thunderbolt™ 3 ports and dual Gigabit Ethernet ports. The system can drive six independent monitors simultaneously, and one of the HDMI ports is on the unit’s front, making it easy to plug in a VR headset. These NUCs will be sold as bare-bones kits, targeted to DIYers who are looking for small, sleek and powerful mini PCs. The units will be available starting this spring. Intel, the Intel logo, Thunderbolt and Intel Core are trademarks of Intel Corporation or its subsidiaries in the U.S. and/or other countries.